Is it possible to beat HIV? If you grew up in the 80s, you probably learned that a diagnosis of HIV was essentially a death sentence. It would blossom into AIDS, and you would be gone within a few years. Then, miraculously, it appeared that HIV could be controlled with a daily drug regimen and might never turn into AIDS at all. You'd have to take pills for the rest of your life, but at least you would have a life. Now Dr. Richard D'Aquila, the director of Northwestern's HIV Translational Research Center, believes there may be a way to stop the HIV virus, too. The virus is so powerful because it keeps multiplying and evading the immune system's attempts to arrest it by changing its form and disguising itself. But D'Aquila has observed a rare group of patients, less than one percent of people infected with HIV, who are able to fight the virus without drugs. These patients are known as "controllers" because they're able to control the HIV and keep it in check. "It's the first time anyone has shown that a relatively newly understood type of immunity can fight HIV," he says. In most people, the immune system's first line of defense is a group of cells called killer T-cells. 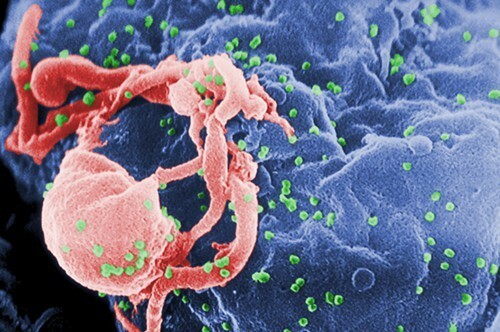 They're able to recognize a piece of HIV on the outside of an infected cell and kill the cell. But HIV mutates into another form the killer T-cells can't recognize. "Maybe what the new information is telling us is that if the first line of defense in the controllers keeps HIV down to low levels, it prevents HIV from destroying the backup defense," says D'Aquila. The backup defense is an enzyme called APOBEC3G, or A3G for short. "If HIV reproduces without any control," D'Aquila continues, "it destroys all the A3G in the body. What may be going on in the controllers is that the first line of defense keeps A3G from being destroyed." About half the controllers have a special gene that controls their immune responses. The other half just have stronger killer T-cells than average. The goal now is to figure out how to make more people controllers and preserve their levels of A3G. D'Aquila has a few hypotheses, based on observations. The first is that in patients who start on HIV drugs early, within a few months of being infected, the virus stops spreading and doesn't come back. Normally, if an HIV patient stops taking his or her medicine even for a day, the virus comes back full-force. "There's something different about starting medicine in the first four to six months," D'Aquila says. "The patients are able to preserve some sort of immune defense against HIV. A3G is one of the things, or the thing, that's preserved. I was talking with a scientists in France who said that 15 percent of the patients who were treated early had post-treatment control and stopped the virus from coming back. It's a little mind-boggling. "We don't know for sure," he continues. "We're going to check the cells of the patients in France to see if they have more of the protein [A3G]." D'Aquila notes that while, in the past, it was impossible to detect HIV until six months after infection, new tests can identify traces of the virus much, much earlier. And the Affordable Care Act now requires insurance companies to pay for HIV testing. D'Aquila has heard of two other cases where HIV has, apparently, spontaneously stopped spreading, but both are outliers and difficult to duplicate. The first was the "Berlin patient," a man named Timothy Brown, who had both AIDS and cancer and needed a bone marrow transplant. His doctor was able to find a marrow donor who was one of the extremely tiny group (less than one percent of the population) that is immune to HIV. After the marrow donation took hold, Brown's doctors stopped his HIV medicine. The virus is still in his body, but in little bits and pieces, too small to do any harm. That was six and a half years ago. The experiment has yet to be duplicated. "All the HIV doctors in the United States are looking for another case like this," says D'Aquila. "But people with the anti-HIV mutation are even rarer in the U.S. than they are in Germany, and a marrow transplant is really hard." The other case was the "Mississippi baby," the child of a woman with HIV who never got the drugs that are normally given to HIV-positive expectant mothers. The baby was born infected. As soon as the blood test came back confirming the baby had HIV, the doctors started it on medication immediately. After the baby had been on its meds for a year, the mother took it off its medicine for another year. But the virus still didn't come back. 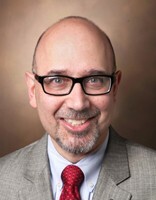 "All of these clues suggest that if we start the meds early," D'Aquila says, "it's possible to 'cure' HIV. The meds work, but they have lots of side effects." Doctors have noticed that patients who take HIV medication every day have, in their 40s and 50s, the same sorts of medical problems of people in their 60s and 70s: heart attacks, strokes. "The meds aren't getting rid of HIV," D'Aquila explains. "The body is trying to fight off HIV, and it's tired from a long, hard fight. If the body is able to control the virus the way the bodies of the controllers can, we can stop the meds and the patient can have a longer, better quality of life." The other side effects are financial. Drugs are expensive. In less wealthy parts of the world, namely Africa, most people (and governments) don't have the resources to pay for a lifetime of pills. "But if you treat it for two years," says D'Aquila, "there's enough resources for everyone." D'Aquila wants to make it clear that his theory about A3G is still just a theory. It needs to be tested and replicated. "We're just starting to plan the research," he says. "It's going to take years. It's not a quick thing. But it's very exciting."